Hello! If we were having a coffee this week I’d be having a cortado because I haven’t had one for ages and I just fancy it. 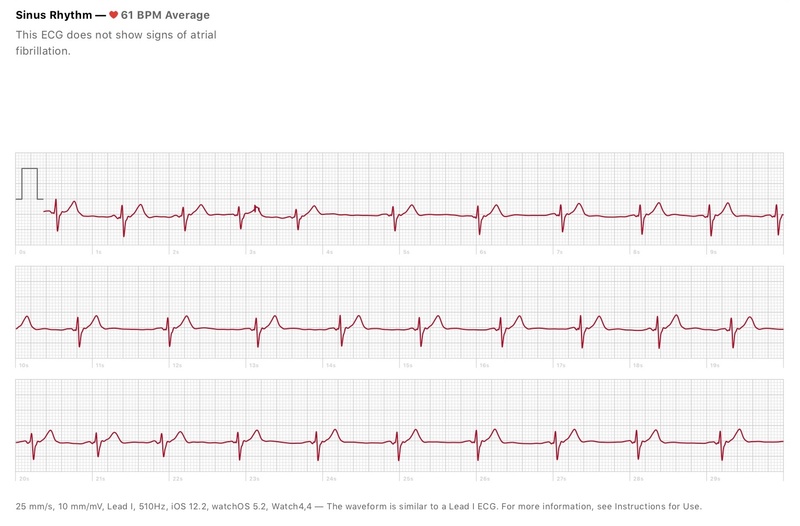 I got up on Monday morning and my watch had been updated meaning that it could now do an ECG of sorts. I’m assuming it’s not a full ECG. Anyway, it came back good, so that was a happy start to the week. On Monday night I went for my first run since the half marathon. It sucked and I hated it. I feel that I’m at a bit of a crossroads on what the next target is, fitness wise. In a moment of weakness when I felt OK, I may have signed up for another run. Then the injuries hit and I lost interest, but I’m not sure whether I just need to push myself through it or do something else. I did play football on Wednesday night, which is also the first time I’ve played for three weeks. And I SCORED A GOAL! We’re not three and a half months in to the season and I’ve scored two goals. That puts me level with last year already. This, keep in mind, should be noted in the light that we’ll usually have 15 goals a game! The one I scored this week I actually thought went over the cross bar and ran down the back of the net but everyone told me it was in, so I’ll take it. On Tuesday I went to watch Liverpool beat Porto at Anfield. I’d already decided that, because I had a full afternoon of meetings (pretty much) that I would work from home on Tuesday afternoon so that I got to spend some time with Moo Cat. As it happens I spent all day with him because when I got to work and opened the car boot to get my laptop bag out, I realised that I’d left it at home. I didn’t want to wear my ankle support for the whole day so took it off and put it in my bag at work. I then used it for my run, so took my bag out the car which I don’t tend to do. I had a fairly productive day. We had some meetings this week which got me annoyed, though. Over the last couple of months I’ve been looking for and applying for jobs, but I don’t feel like my heart is in it. I know what I don’t want and, as is quite obviously the case, I’m not a perfect fit for anything that I’ve been applying for. Deciding what I wanted to be when I grew up was far easier as a child and even as a teenager than it is as an adult. As I write, I’m feeling pretty tired. I went out on Friday night, I got up (an hour too) early on Saturday morning for the F1 qualifying, walked a long way on Saturday afternoon, went out last night, got up early for the F1 race this morning and then went to watch Liverpool beat Chelsea this afternoon, the latter of which is the most tired I think I’ve ever got while sitting down. Part of the problem could also have been my weekend diet. I started it with coffee and a chocolate twist, followed by a packet of sandwiches, followed by too many doughnuts because I bought a dozen expecting friends to have some and they didn’t, followed by Chinese. Today I decided to have some real food this morning by having porridge, but then I’ve followed it up with sausage, chips and curry sauce, too many Haribo and Snickers at the match and a take away Thai this evening. I’ve enjoyed all of it, but a vegetable wouldn’t go amiss. A few new Pokemon this week. Apologies for the lack of post on Friday. I wasn’t expecting to be going out, and then I wasn’t expecting to be out as late as I was. I didn’t plan well enough to have one pre-written. I’ll try to be a bit more prepared this week!